Please note: refunds will not be issued on stays cut short or due to changes in weather beyond our control. Please don’t be offended with this. All nights booked are to be paid for on arrival. Sit back and enjoy the outside deck or soak in the free hot thermal pools and swimming pool. 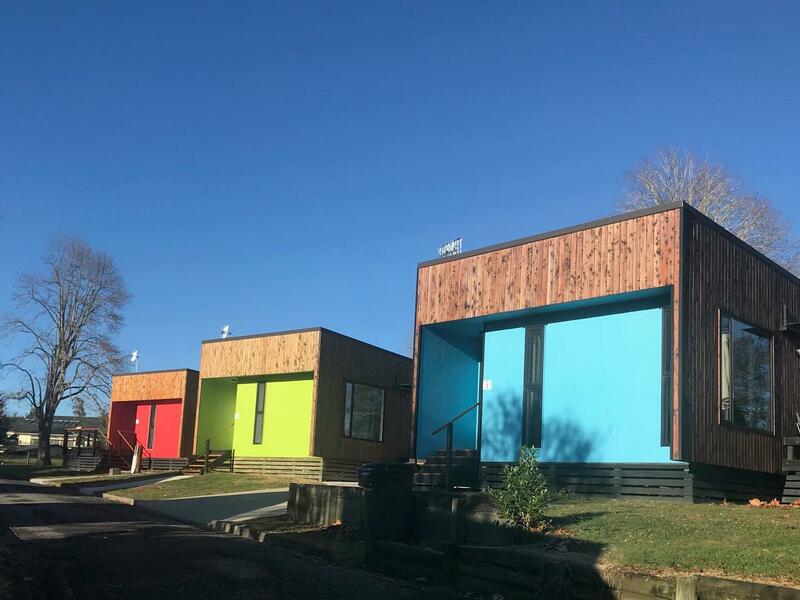 Other park facilities available include a children's mountain bike track and playground, tennis/netball courts, cricket pitch and a rugby field to spend hours entertaining the children. ROOM RATE INCLUDES: 6 people. 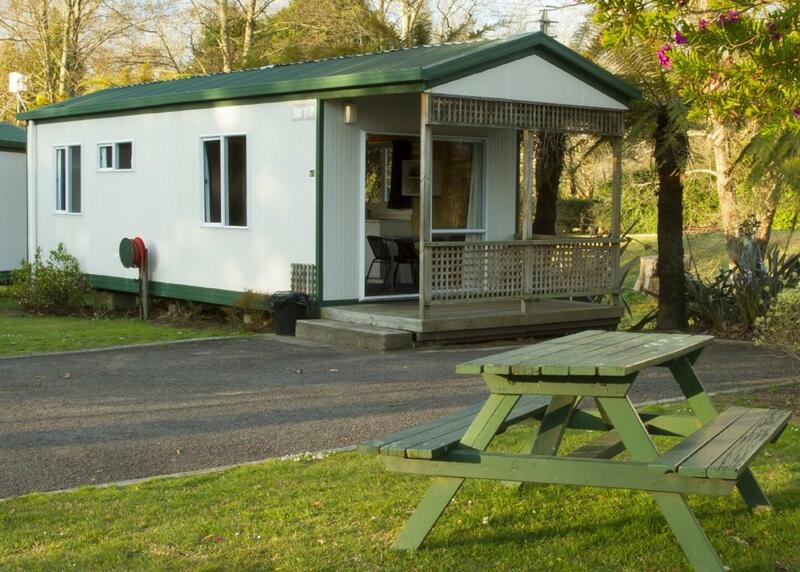 This is the perfect accommodation for large families or groups up to 10 people. 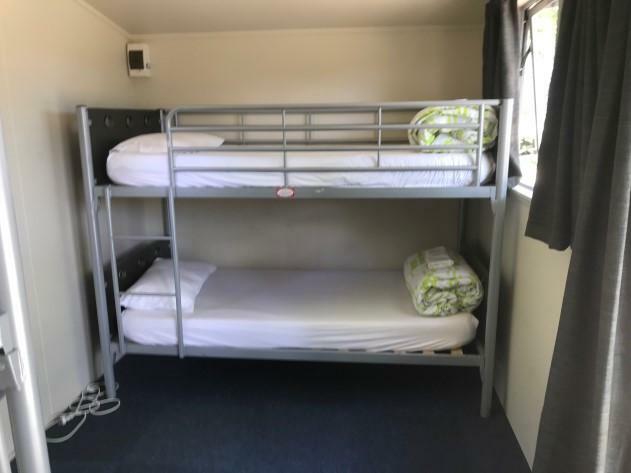 The units comprise of 2 bedrooms each with a double bed, 2 sets of bunk beds (4 singles) in the area leading to the bedrooms and a double sofa bed in the living area. All beds are made up with full linen and towels. Units serviced on check out or stays over 5 days. 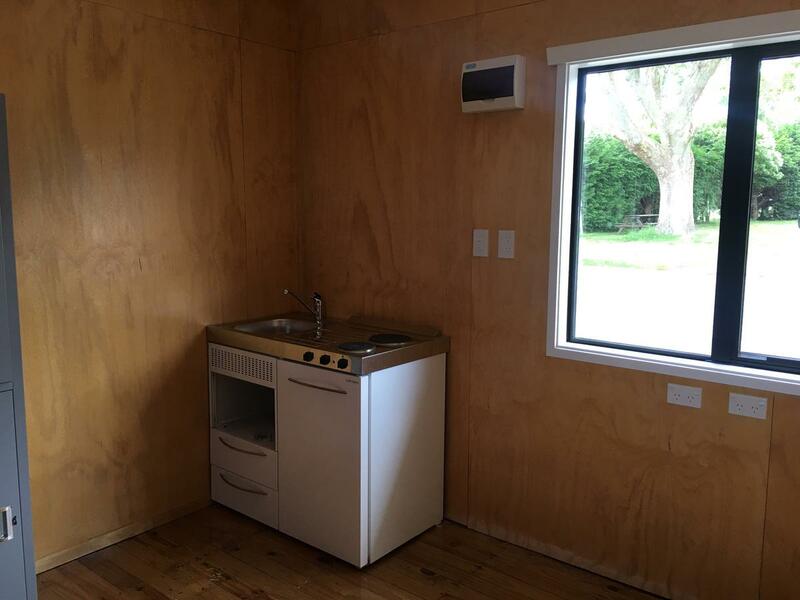 Enjoy a fully equipped kitchen with stove, microwave and fridge/freezer. We also include complimentary tea, coffee and sugar. 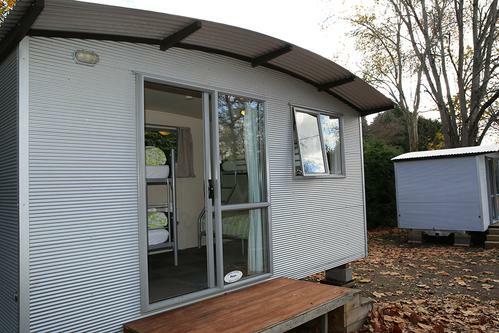 This self-contained unit also includes its own bathroom, shower and a Freeview TV in the lounge area. Free hot thermal pools and a swimming pool are available on-site. 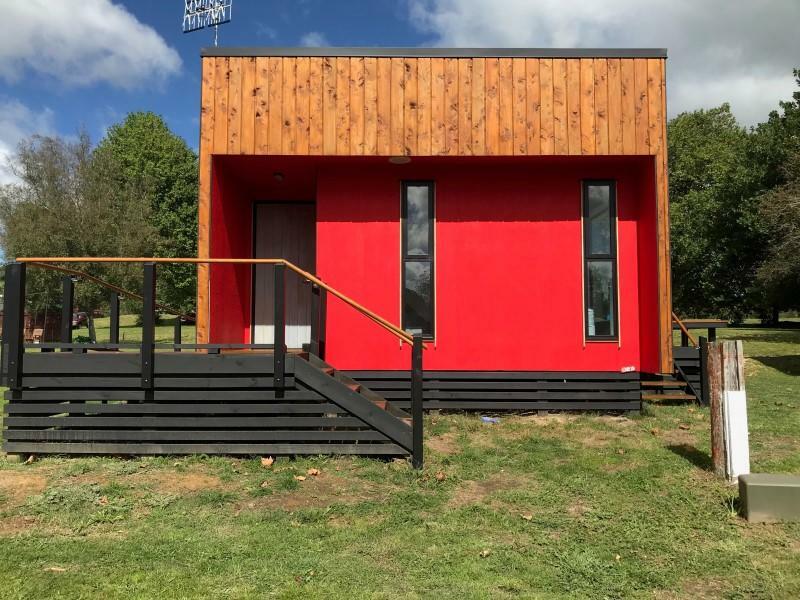 Other park facilities available include BBQ area to enjoy the good weather, children's mountain bike track and playground, tennis/netball courts, cricket pitch and a rugby field to spend hours entertaining the children. ROOM RATE INCLUDES: 6 people only, additional per night charge for extra people. 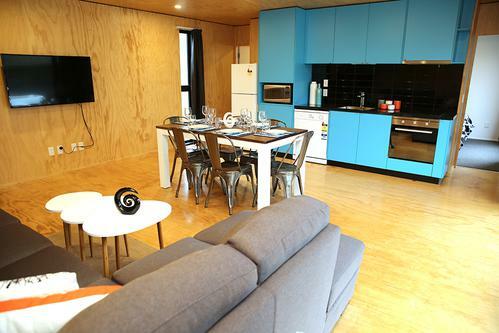 This economic tourist flat is perfect for a family to enjoy a relaxing holiday together. 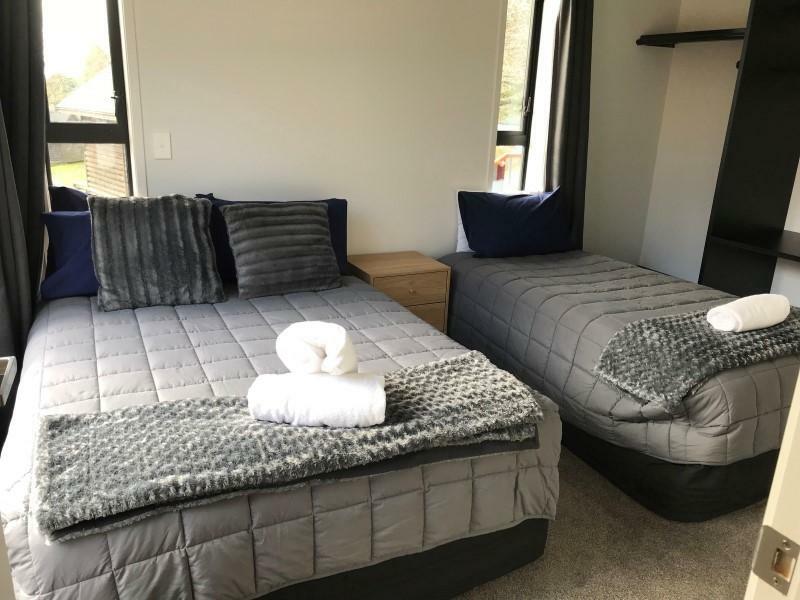 These units comprise of 1 bedroom with a double bed, 1 sets of bunk beds (2 singles) in the area leading to the bedroom and a double sofa bed in the living area. All beds are made up with full linen and towels. Units serviced on check out or stays over 5 days. Free hot thermal pools and swimming pool are available on-site. 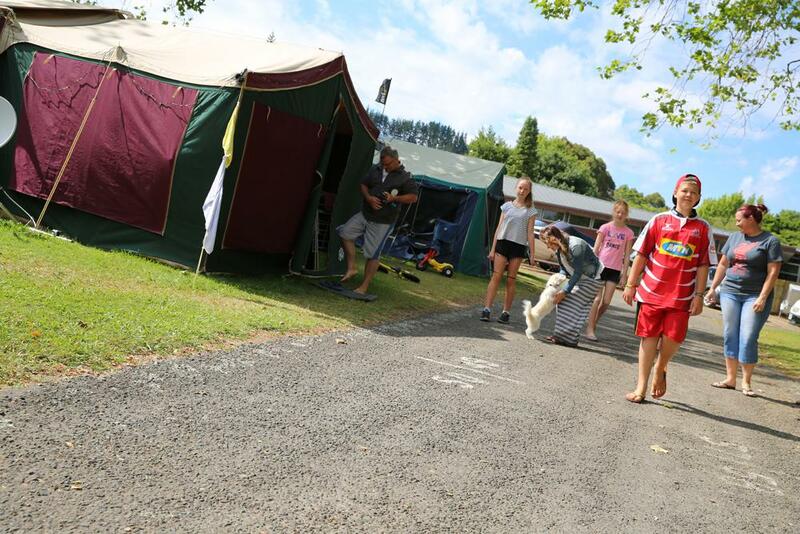 Other park facilities available include BBQ area to enjoy the good weather, children's mountain bike track and playground, bike wash, tennis/netball courts, cricket pitch and a rugby field to spend hours entertaining the children. ROOM RATE INCLUDES: 2 people only, additional per night charge applies for extra people. 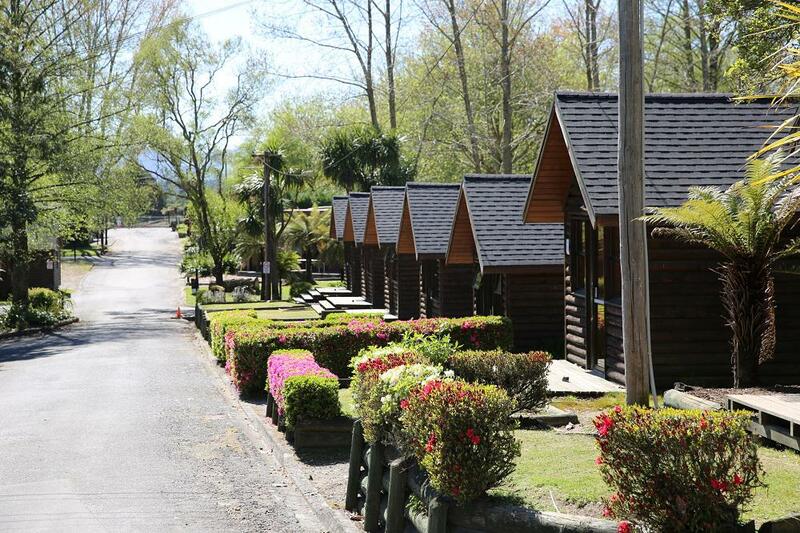 Enjoy a stay in our open plan log cabin full of charm and character. Our en-suite log cabin with kitchenette consists of a double bed and 2 single beds (Bunks), tea/coffee facilities with microwave and jug. 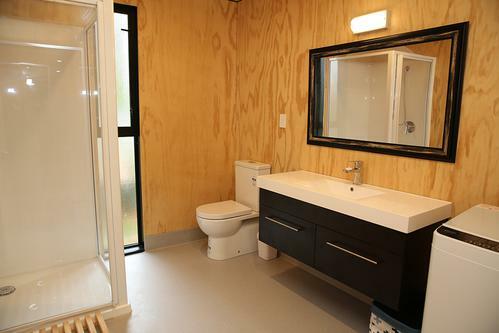 En-suite includes its own bathroom with shower and hand basin. All beds are made up with sheets, duvet and pillows. One towel per person is supplied. 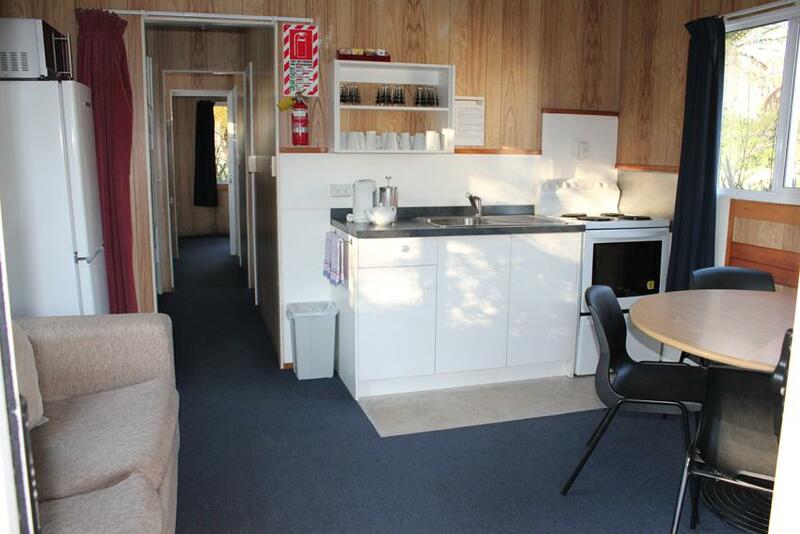 Cabin consists of a table, stools, heater and a Freeview TV in the lounge area. Cook up a feast in our communal kitchen where you can meet other park guests and share stories of your travels and adventures. Free hot thermal pools and swimming pool are available on-site. Other park facilities available include BBQ area, children's mountain bike track and playground, tennis/netball courts, cricket pitch and a rugby field. Bike wash and storage available. 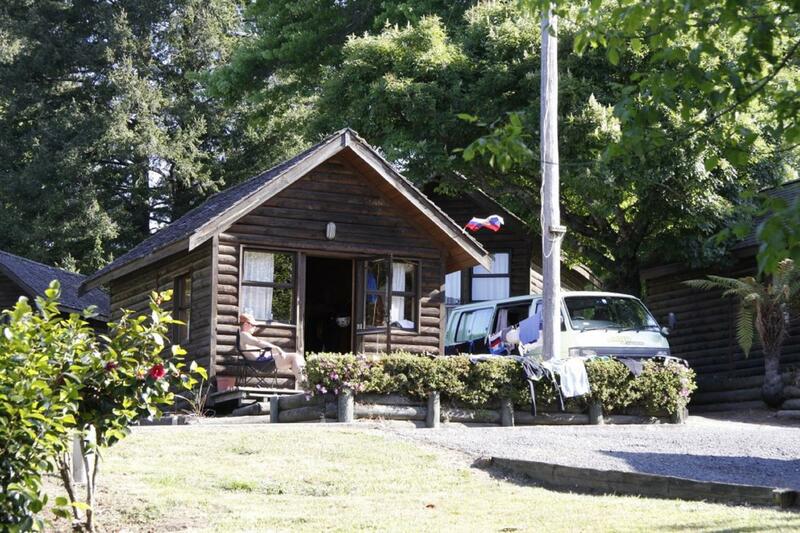 Enjoy a stay in our authentic open plan log cabin full of charm and character. 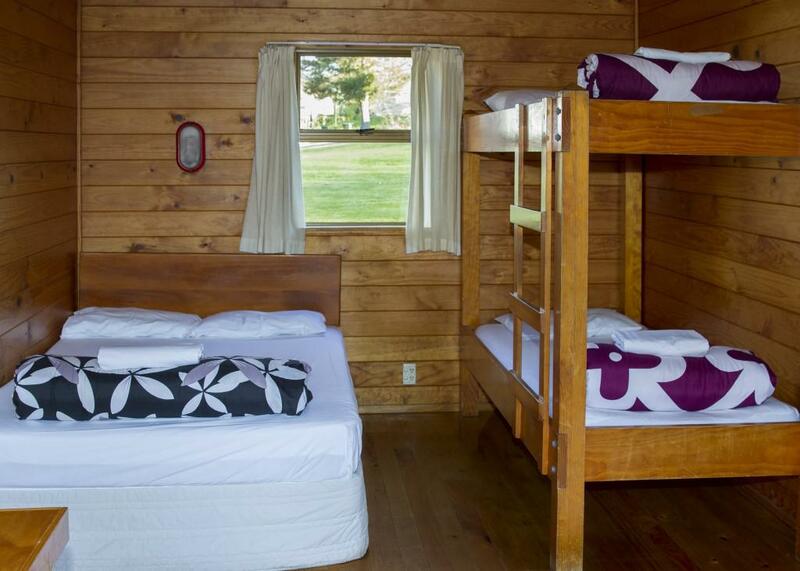 Our standard log cabin consists of a double bed and 2 single beds (Bunks) and are ideal for families to enjoy a relaxing holiday. All beds are made up with sheets, duvet and pillows. Towels are available at reception for hire. 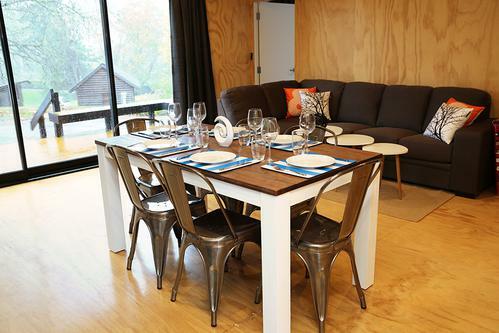 Cabin consists of a table, stools and a heater. Cook up a feast in our communal kitchen where you can meet other park guests. 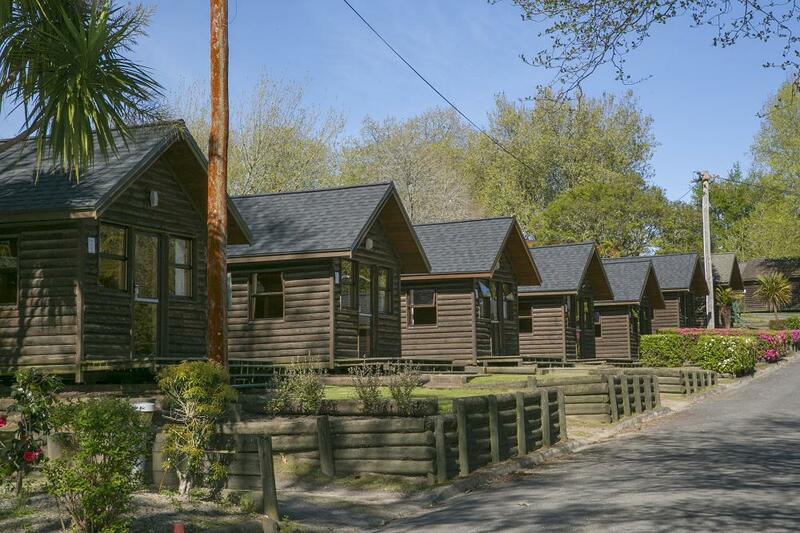 Showers and toilets are in close proximity to the standard log cabins for peace of mind. Free hot thermal pools and a swimming pool are available on-site. Other park facilities available include BBQ area, children's mountain bike track and playground, tennis/netball courts, cricket pitch and a rugby field. Communal TV Lounge, laundry, bike cleaning station and bike storage. 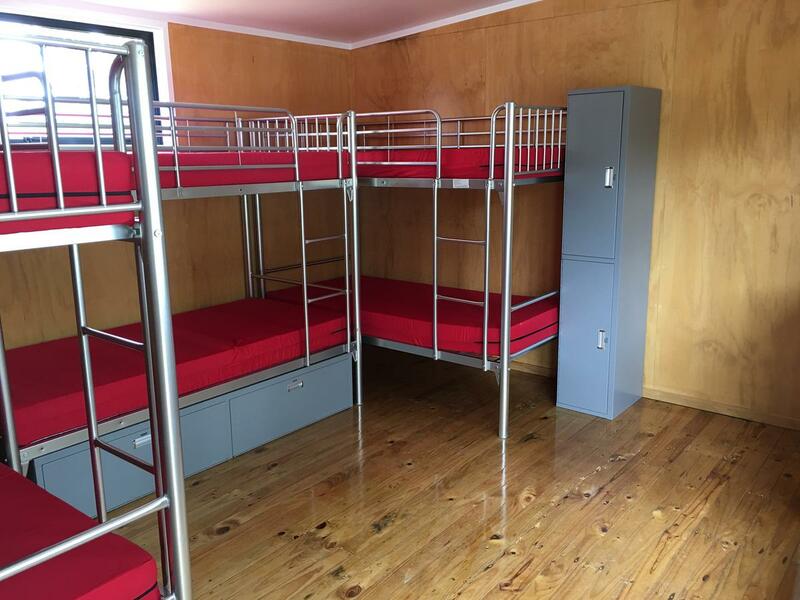 The open plan cabin consists of a double/single bunk and set of single bunks with the ability to sleep up to 5 people. 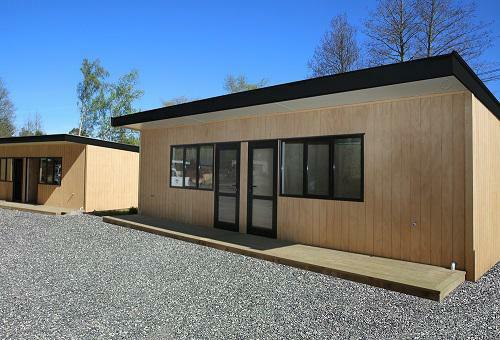 The cabins are fully insulated, come with a heater and are close to the communal kitchen and bathroom facilities for ease of mind. 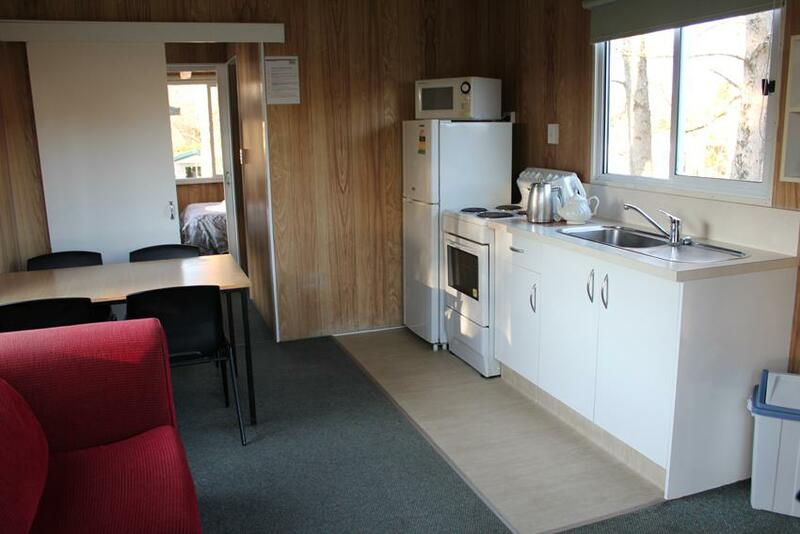 Tea/coffee facilities with microwave and jug are included in the cabin. All beds are made up with sheets, duvet and pillows. Towels are available at reception for hire. Cook up a feast in our communal kitchen where you can meet other park guests and share stories of your travels and adventures. Free hot thermal pools and a swimming pool are available on-site. Other park facilities available include BBQ area, children's mountain bike track and playground, tennis/netball courts, cricket pitch and a rugby field. Bike wash and storage available. 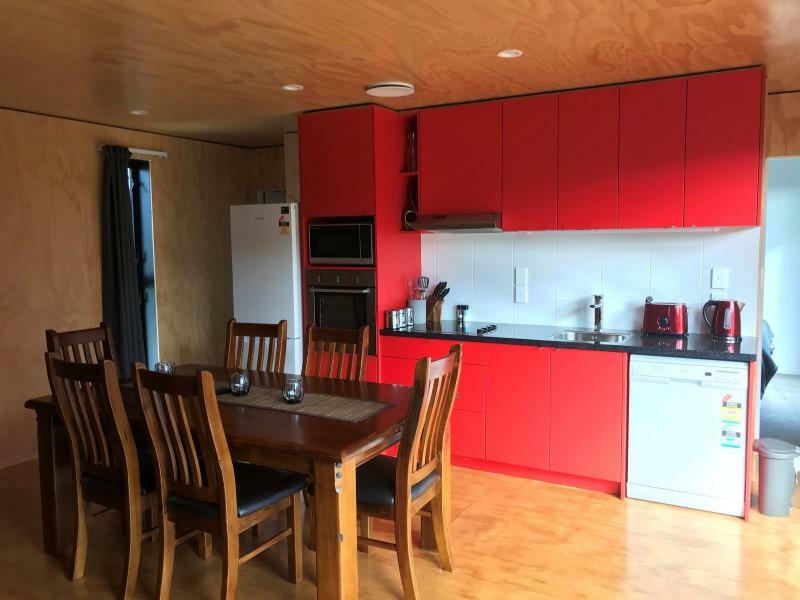 This economic kitchen cabin is the perfect accommodation for families or a group of friends. 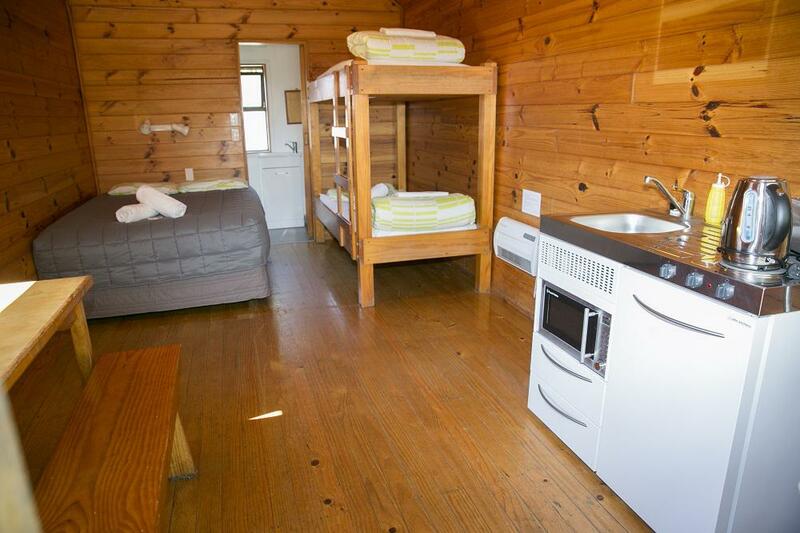 The open plan kitchen cabin contains 1 double bed and a set of bunk beds (2 singles). 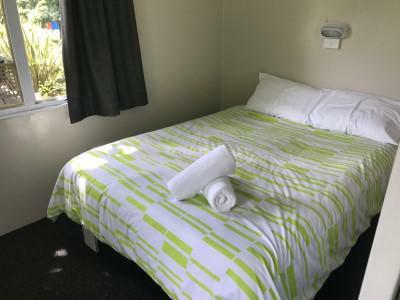 All beds are made up with linen and towels can be hired from reception. 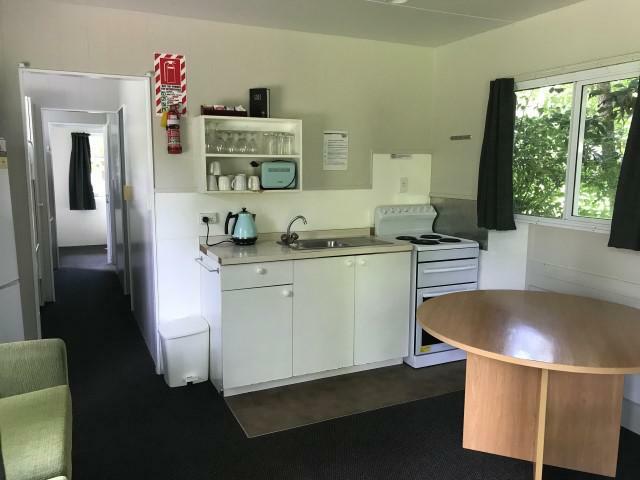 Enjoy a small but fully equipped kitchen with a fridge, 2 ring hot plate, kettle, toaster, utensils, cooking equipment and a Freeview TV in the lounge area. Free hot thermal pools and swimming pool are available on-site. Other park facilities available include BBQ area to enjoy the good weather, children's mountain bike track and playground, tennis/netball courts, cricket pitch and a rugby field to spend hours entertaining the children. 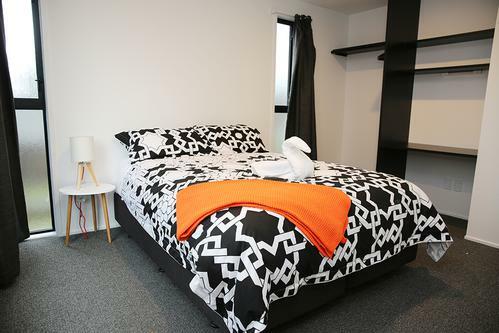 Dorms are the perfect option for backpackers or budget conscious travellers. Relax and meet likeminded travellers to swap stories and you might even make some new friends and find new people to continue your adventures with. 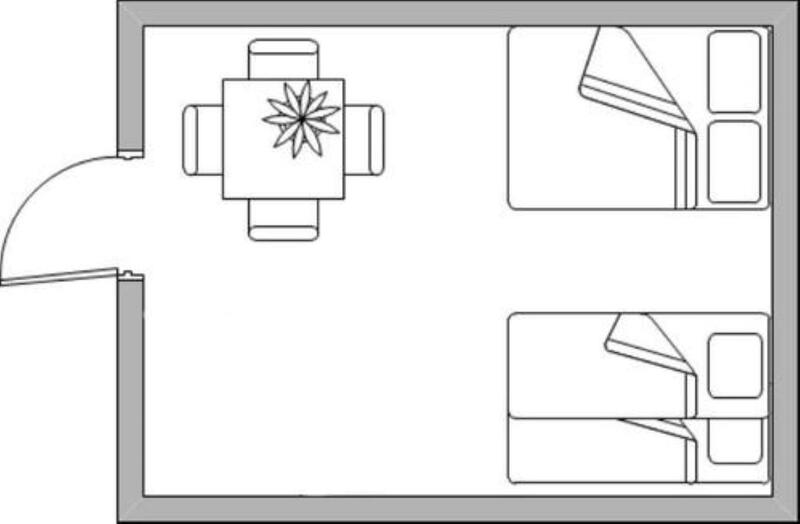 Our dorms consist of 3 sets of bunk beds (6 singles), all beds are made up with a bottom sheet only, pillow and pillowcase. Extra linen and towels can be hired from reception (limited stocks available). 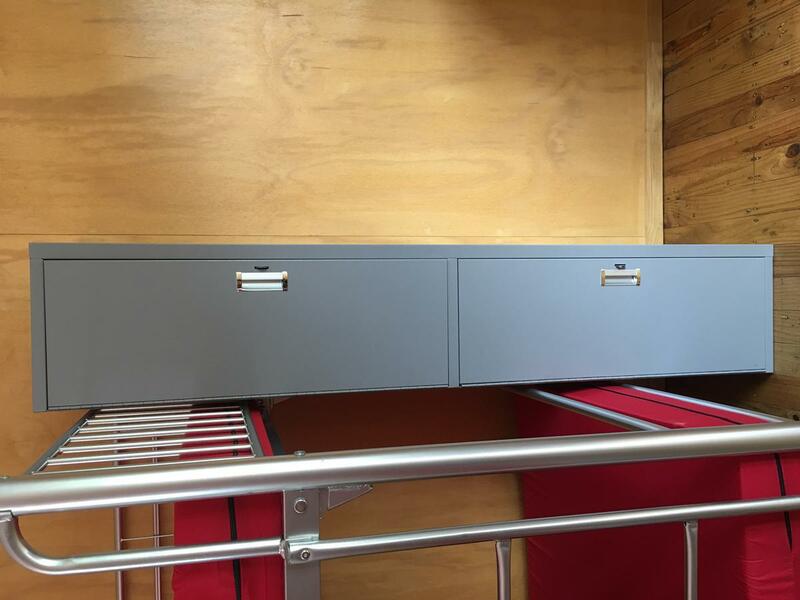 Lockers are provided for each bed to secure all possessions for peace of mind, you will need to bring your own padlock, or purchase one from reception $10.00. A mini kitchenette is also included in the room. Free hot thermal pools and swimming pool are available on-site. Other park facilities available include BBQ area, children's mountain bike track and playground, tennis/netball courts, cricket pitch and a rugby field. 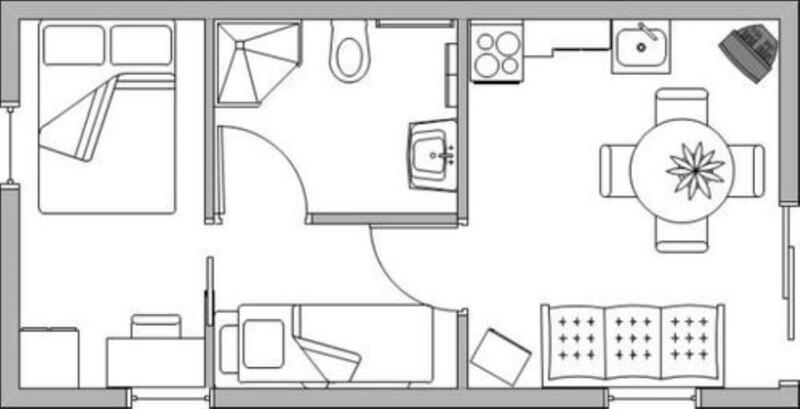 Communal TV lounge, laundry, bike wash and storage available. 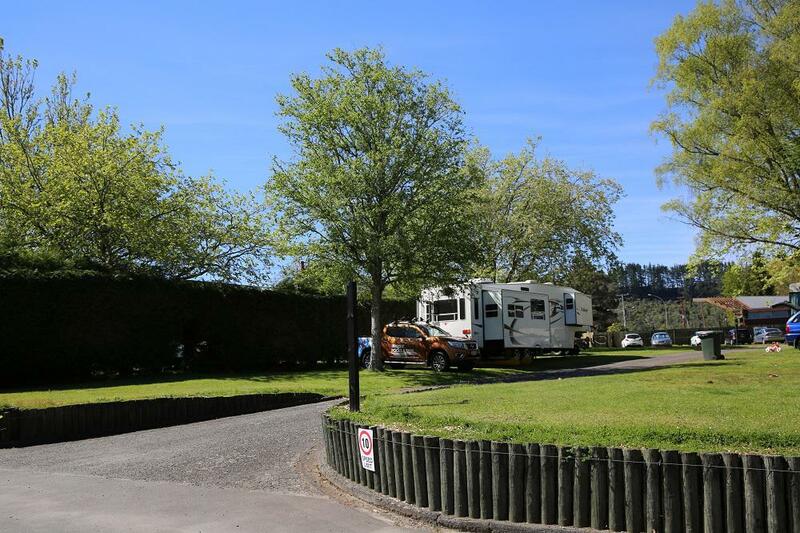 Enjoy the convenience of all the amenities and park facilities on offer in one of our powered motorhome sites. 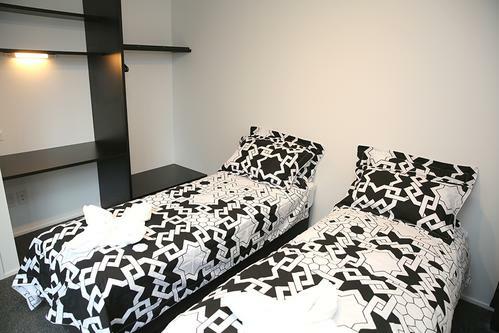 Relax under the undercover walkways and concrete sites that lead to the communal facilities. 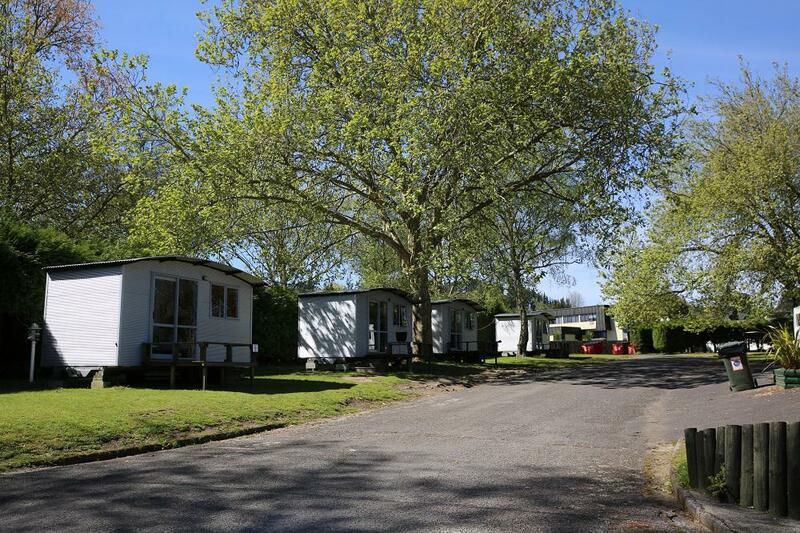 These sites are NOT suitable for caravans or tenting. Cook up a feast in our communal kitchen where you can meet other park guests and share stories of your travels and adventures. 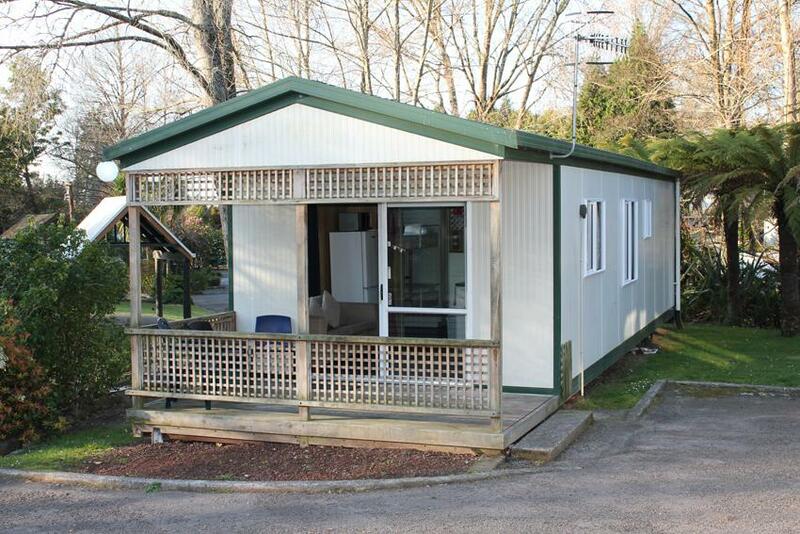 Kitchen, showers, toilets and laundry are conveniently situated near the powered sites. Free hot thermal pools and swimming pool are available on-site or enjoy a rejuvenating massage from our onsite massage therapist (by appointment only). Other park facilities available include BBQ area, children's mountain bike track and playground, tennis/netball courts, cricket pitch and a rugby field. Communal TV Lounge, laundry, bike cleaning station and bike storage. ROOM RATE INCLUDES: 1 person only, additional per night charge applies for extra people. 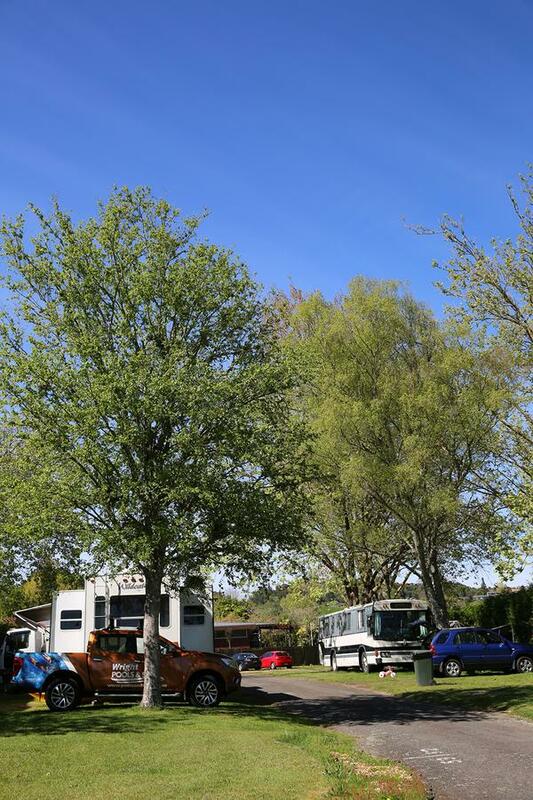 Enjoy the convenience of all the amenities and park facilities on offer in one of our powered motorhome sites, caravan and tent sites. Free hot thermal pools and swimming pool are available on-site. Other park facilities available include BBQ area to enjoy the good weather, children's mountain bike track and playground, tennis/netball courts, cricket pitch and a rugby field to spend hours entertaining the children. 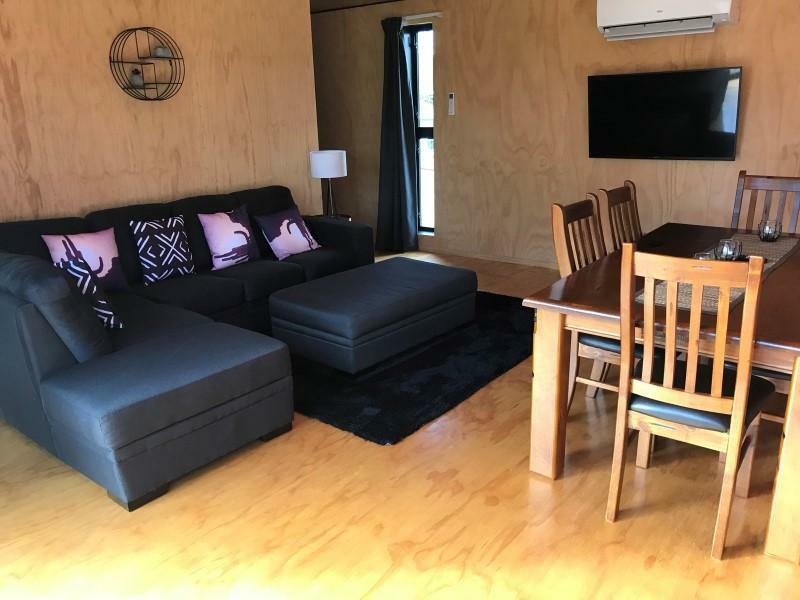 Communal TV Lounge, laundry, bike cleaning station and bike storage to ensure your mountain bike is safely secure for your next days adventure. 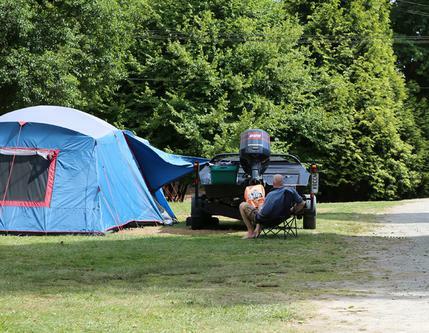 Relax and unwind in our unpowered tent sites that are nestled amongst our mature tree surrounds. Cook up a feast in our communal kitchen where you can meet other park guests and share stories of your travels and adventures. 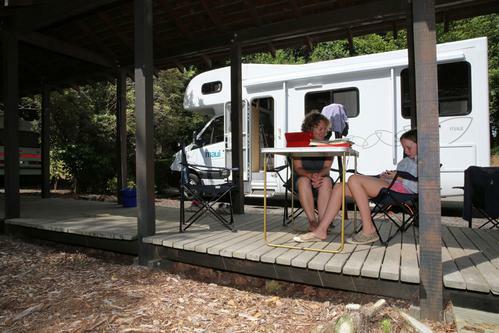 Kitchen, showers, toilets and laundry are conveniently situated near the unpowered sites. Other park facilities available include BBQ area to enjoy the good weather, children's mountain bike track and playground, tennis/netball courts, cricket pitch and a rugby field to spend hours entertaining the children. 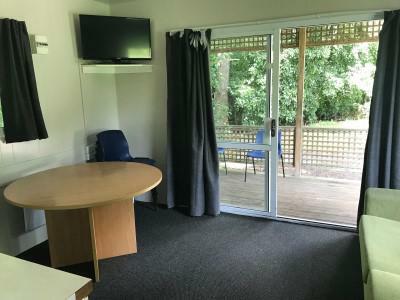 Communal TV Lounge, laundry, bike cleaning station and bike storage to ensure your mountain bike is safely secure for your next days adventure.